i am so stoked because i finally finished setting up my apothocary! for months, i’ve had jars of herbs all over the place. the disorganization was driving me nuts. no more. 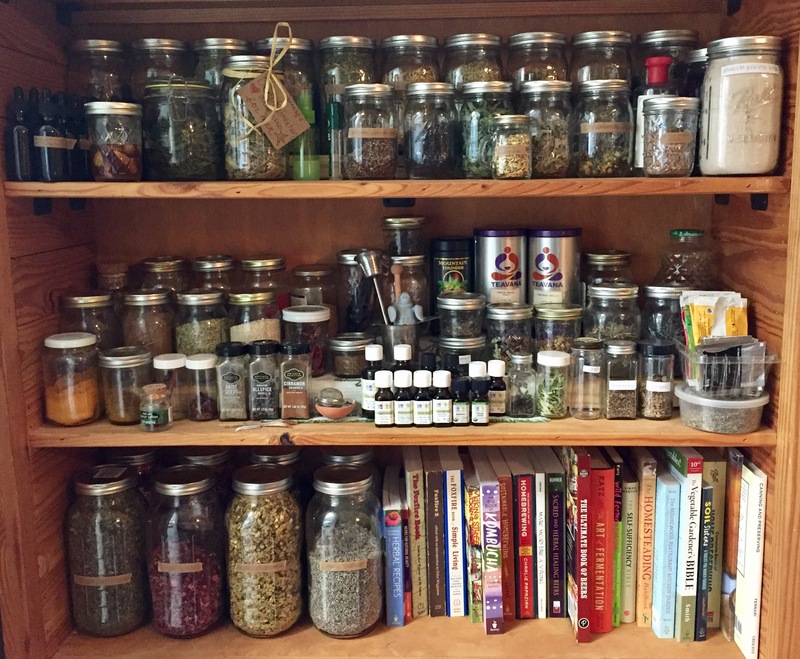 all of my jars are labeled (so important) and have an intentional home. 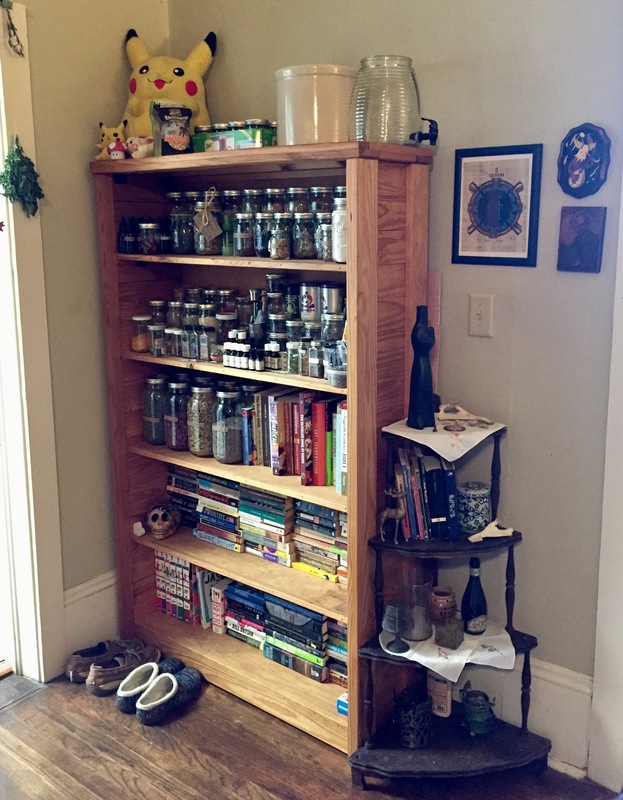 the top shelf is medicinal herbs and tinctures. the middle shelf is culinary herbs/ spices and tea blends, along with essential oils. and the bottom shelf holds the big jars for herbs i use a ton of (chamomile, rose petals, lavender, and lemon balm) as well as all my homesteading, homebrewing, and self-sufficiency books. my shelf is perfectly positioned – i can reach all my herbs while standing at the island in the kitchen, yet the shelf itself receives no direct sunlight or shifts in humidity. this project actually took a ton of thought. we live in a really small apartment (ONE CLOSET), and storage space is severely limited. everything must have a home, but for my own sanity, everything must be efficient and thoughtfully located. i need to have my herbs as close to the kitchen as possible without actually being in the kitchen, as the humidity and temperature changes can spoil the herbs. then there was the task of collecting and labeling all the jars. let’s just say i’m glad i finally have it exactly how i want it. for those interested, i primarily order herbs from mountain rose herbs, but i also love to buy herbs off etsy and grown as close to home as possible. i do grow a number of herbs (mints, culinary herbs, wormwood, chamomile, calendula, nettle, skullcap, lavender, ecchinacea), and have foraged for a few items in my collection (black trumpet mushrooms, mimosa flowers, elderberries). I adore your apothecary shelves!